The Hamilton Beach BrewStation has the innovative dispensing method that makes carafes obsolete. 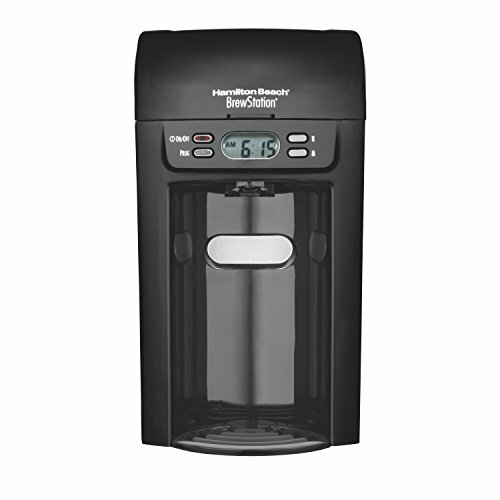 Dispense one cup at a time and keep the rest of your coffee hot without scorching. Removable reservoir makes filling the coffee maker easy and mess free. Consumers should use the brew tank to measure and fill water for their unit to avoid overfilling the water reservoir. View More In Coffee Makers.